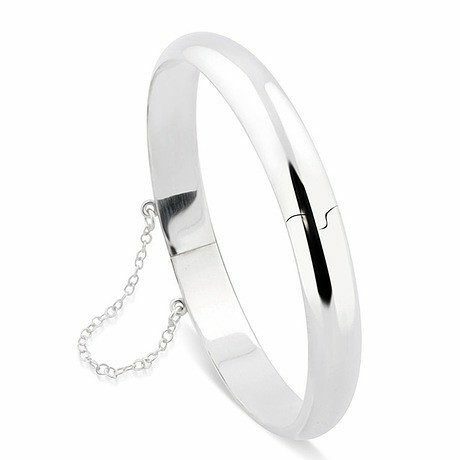 Smooth Sterling Silver Hinged Bangle with Safety Chain Only $21 Shipped! You are here: Home / Great Deals / Smooth Sterling Silver Hinged Bangle with Safety Chain Only $21 Shipped! This Smooth Sterling Silver Hinged Bangle with Safety Chain is a perfect example of a simple design that really packs a punch! The Smooth Sterling Silver Hinged Bangle with Safety Chain is Only $19 plus $2 Shipping. The cool hinged build features a dangling safety chain for an extra chic touch, while the smooth finish makes it incredibly versatile!